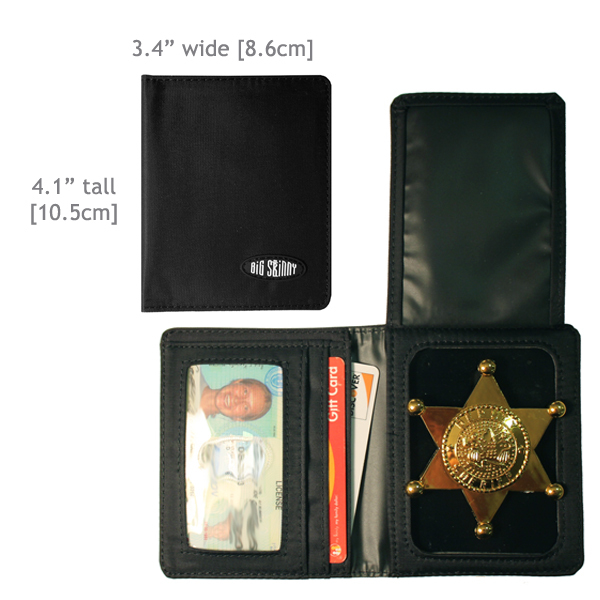 Everyone from sheriffs, paramedics, fire marshalls to police officers have been asking us for years for badge wallets. After multiple design tests, we have crafted a series of badge wallets/holder from our signature nylon microfiber. 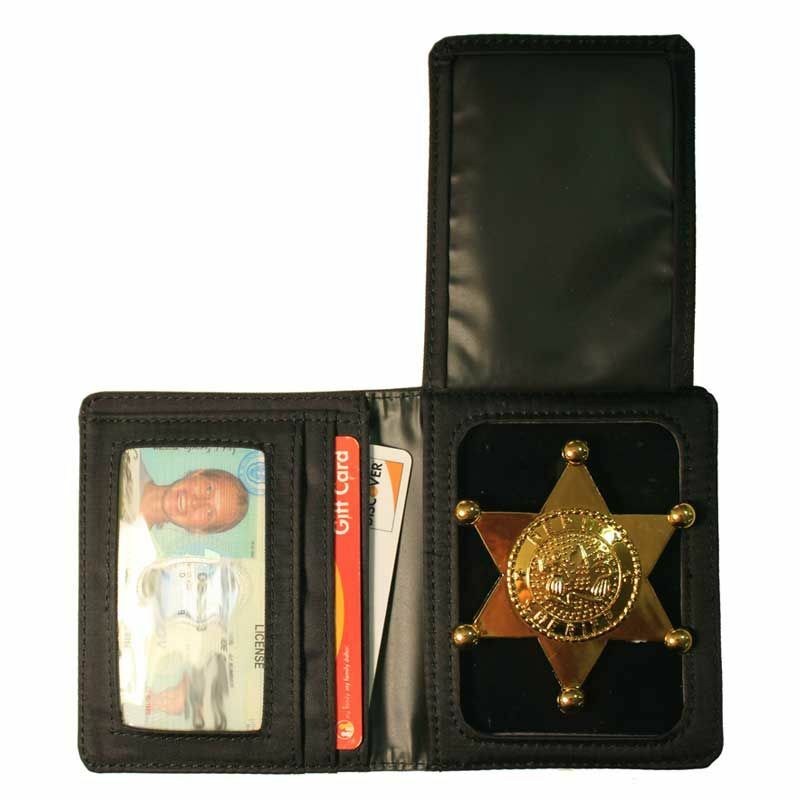 This ultra-thin, lightweight, nylon microfiber Badge Holder securely keeps your badge in place along with your credit cards and cash, all while staying thin. 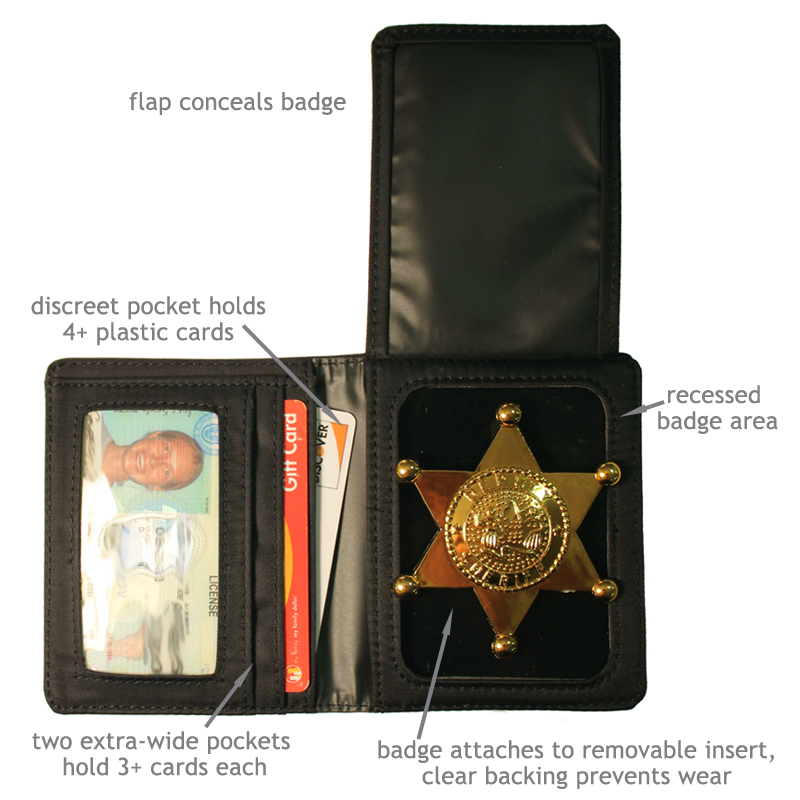 A flap keeps your badge concealed and the badge section is recessed, making your shield flush with the holder. Badge gets secured to a rubbery backing to keep it it from shifting around in the section and is also easily removed if necessary. Wide, rounded badge section accommodates a variety of different badge sizes and shapes. Badge holder is flexible and comfortable to carry. I am a female LE Officer and it is not always feasible to carry a purse with my ID and Badge. I have purchased several wallets over the years that are bulky and uncomfortable to carry in my back pocket. The Big Skinny allows me to carry my ID and Badge in a comfortable manner. It fits in my back pocket without the bulk and hadrness of a thick leather wallet. ConsI would trim the width down a little. As a woman, the small and less bulky the wallet the better. This is my second wallet from big skinny and I have no complaints. This is a perfect badge holder that has card/ID pockets and isn't bulky. I wish my badge fit in this wallet, but it is too small for the CDC flat badge. I still give it 5 stars.